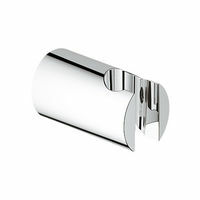 Grohe AG is Europe’s largest and the world’s leading single-brand manufacturer and supplier of sanitary fittings. 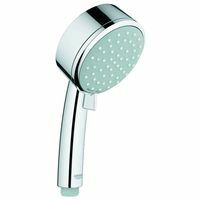 Based in Germany, Grohe has a worldwide market share of roughly eight percent in its product segment. 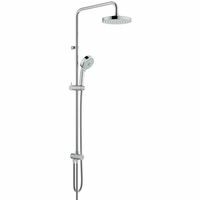 Grohe New Tempesta Cosmopolitan 100 Hand Shower With 2-Sprays Specifications: 4 spray patterns: GROHE Rain O2, Rain, Massage, Jet Shower head Ø 100 mm SpeedClean anti-lime system Suitable for instantaneous heater Universal mounting system, fitting all standard shower hoses Min. 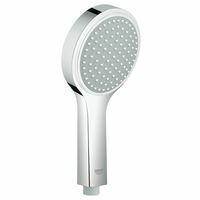 recommended pressure 1.0 bar - See more at: http://www.hydro-style.com.sg/product/grohe-new-tempesta-cosmo-handshower(27573000)#sthash.QH8ODEAe.dpuf GROHE DreamSpray® perfect spray pattern GROHE CoolTouch® GROHE StarLight® chrome finish SpeedClean anti-limescale system Inner WaterGuide for a longer life Universal Mounting System. 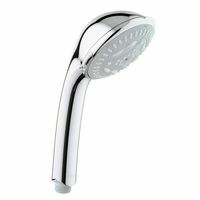 Fitting all standard shower hoses min. 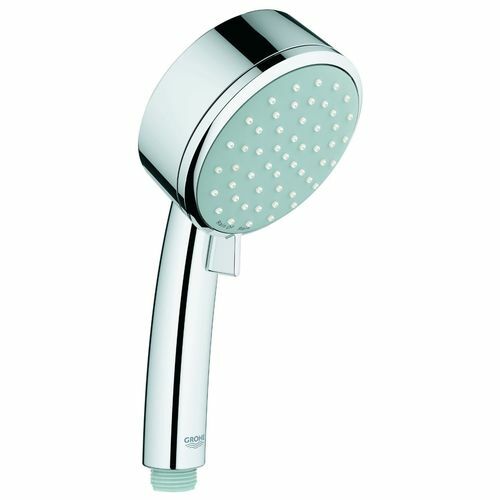 recommended pressure 1.0 bar 10 year warranty Grohe AG is Europe’s largest and the world’s leading single-brand manufacturer and supplier of sanitary fittings. 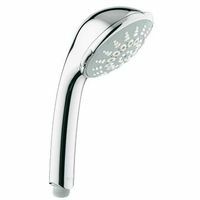 Based in Germany, Grohe has a worldwide market share of roughly eight percent in its product segment.